Self Storage has never never been easier when you rent your affordable storage unit at Santa Fe Storage and Moving. We offer a broad range of features in a convenient location at 7608 Crouch Ct in southwestern Santa Fe. We're situated near Santa Fe Propane, Associated Asphalt and Materials, Old West Signs, and Collector Cars. Our proximity to Hwy 599 and I-25 makes us convenient to nearly anyone in the Santa Fe metro area. Come visit our facility and see what we have to offer to help you through your move! 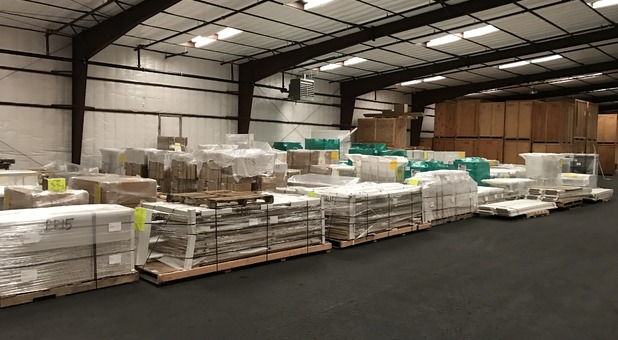 *Services not provided as an agent of Atlas Van Lines, Inc.
Santa Fe Storage and Moving offers great storage options with features that are hard to find anywhere else in the area. We offer climate controlled units, portable storage options, and even shipping services to make your project more convenient for you. 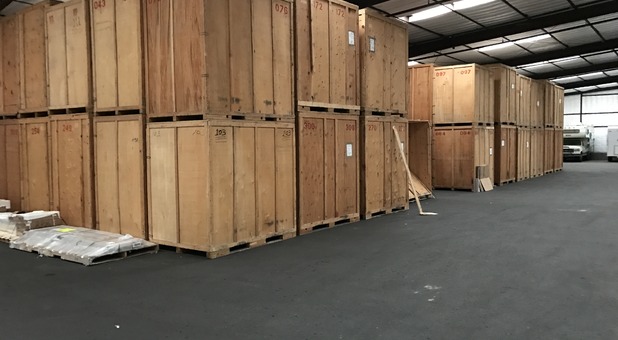 We even offer vaulted warehouse spaces to maximize your storage space! We understand that when you're in the middle of a move, you have a lot to think about. That's why we do everything we can to support you through the process. When you rent with us, you'll receive the kind of personalized customer care you deserve at a price suited to your budget. Come visit us - we're eager to provide you with the solution you're looking for! Michael Alvarado was professional and helpful, keeping us informed throughout our two months of storage and our move. Daniel, Jose and Eric worked hard, handling items with care. They also made the entire experience fun! We highly recommend this company. I really can't say enough positive things about the Santa Fe crew and the driver of the big rig who drove my furnishings out to NYC. I lived at 8,200' above sea level, up a 8% grade switch back road that was dirt for 1.5 miles. Think about that. Then...the walk from the house to the van was over 100 yards and a series of tricky steps. The road up was so steep they had to engage a smaller shuttle van to do the series of loads down the hill. Problem? No way. Not for your Santa Fe crew who handled every obstacle with grace, care and speed. I was pretty blown away and I am somebody who has moved multiple times and have a pretty high expectation level. Not one item was damaged, not one! They moved a three bedroom house with studio and a 1958 Triumph motorcycle from a mountain top to NYC without one snag! Are you kidding me? Unbelievable. I am so thankful. It would be difficult to improve. Your crew in Santa Fe should be used as a model for other crews on how to move professionally, with humor and speed without damaging a thing!